There have been a lot many queries from the users on how to tap phone calls, record them, check history and is there some reliable app that intercepts calls. Let’s make few things clear first. The spying apps providers have manipulated the users by misusing names of services but there is nothing special inside. The users must understand the difference of various tapping or recording options like bugging, recording calls, interception of calls and call tapping. The bugging feature has the major use when it comes to recording sounds in the surrounding of a target device, call recording refers to the history of all recorded calls on a device either incoming or outgoing with any time duration, call interception is though interpreted as listening to live calls when a call is made or listened and call tapping is actually listening to the recorded calls. The specific meanings are inevitable for a user to understand and decipher. 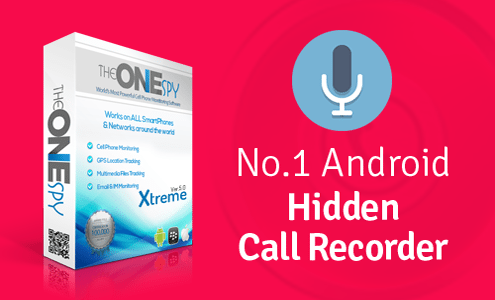 TheOneSpy, world’s best and leading android spy software, provides unlimited call tapping on the target Android device. 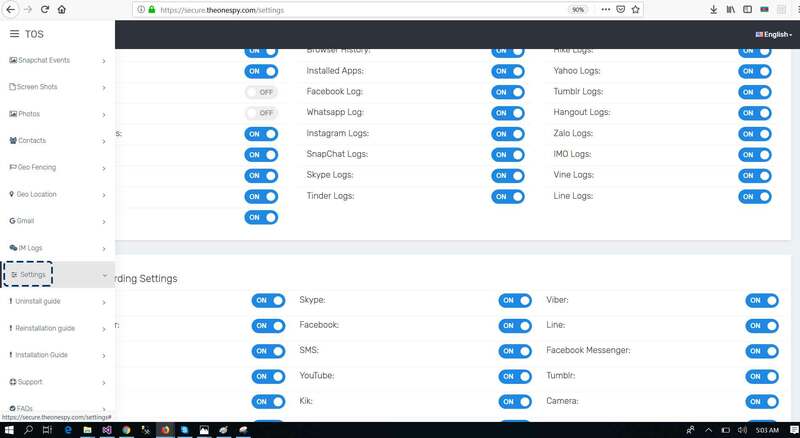 Few other monitoring application are giving the service but that’s limited to some specific numbers that user is informed to feed into the dashboard but TheOneSpy records all incoming and outgoing calls irrespective of the number and calls duration. Another most attractive perspective of TheOneSpy when it comes to tapping calls is it allows the Android users to tap all calls without rooting their device. There is no other such service that needs no rooting. When the user roots the Android device, he/she may lose privacy and important data might get into hands of unwanted agents but TheOneSpy promises the security of all important data in the form of letting users enjoy tapping feature without rooting the Android device. The call tapping, recording, and interception are built-in features of TheOneSpy while other spying applications require the user to visit dashboard and turn-on the tapping features individually. In comparison to all the competitors, TheOneSpy emerged as the most reliable and accurate app for tapping calls and listening to the recordings. Step 1 – Login to your TheOneSpy dashboard (Enter username and password). Step 2 – Choose TheOneSpy Android dashboard. Step 3 – Click the Setting tab and then view Call Recording option. Step 4 – Make sure it’s set to ON. Step 5 – Make sure Set Audio Recording Source. Step 5 – Click Call Recording tab. This is a built-in feature of TheOneSpy through which any user of the app can record all the incoming and outgoing calls. The call detailed will be saved in the user account where these can be accessed anytime. Call details include the contact number, name, phone number, call duration and timings of the calls. Every feature of TheOneSpy is unique and so is the option of viewing call histories. In case the user can’t check call details on a daily basis, he/she will be satisfied as the details of all calls on the target device will be stored in the history option. TheOneSpy understands the significance of important data so the app offers a feature where the user can save the details like photos, videos, contacts, and other recordings on the internet. It spares the users from hectic retrieving and backup solutions as TheOneSpy is all in all regarding spying features. Parent-kid relationship extremely important. TheOneSpy offered this feature when the parents were worried about the security of their kids. 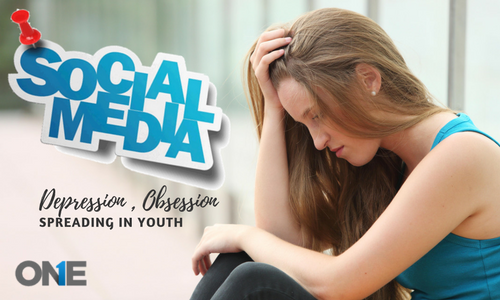 Now any parent can be sure about the call activities of their kids by just listening to their calls, viewing call history and intercepting calls at a time they want. The employers can make sure their employees call to the relevant people and only for office needs. If they call for their personal work on company’s bill and budget, the company owner can warn by putting the call records in front of the employees. Last but not sure the least, tapping calls on cell phones/smartphones is possible and easy to do as well. TheOneSpy appeared as the best and the most convenient spying app that offers to tap phone calls and surrounding voices without rooting the Android devices. 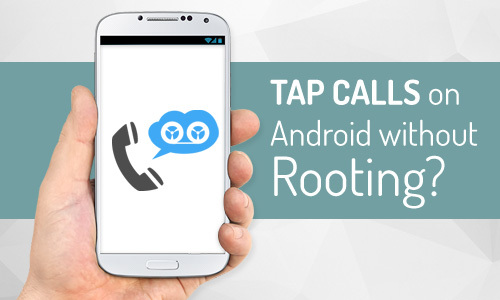 How to Record & Tap Calls on Android without Rooting? The spying apps providers have manipulated the users by misusing names of services but there is nothing special inside. The users must understand the difference of various tapping or recording options like bugging, recording calls, interception of calls and call tapping.